Bay Area adults struggle mightily with the cost of housing, but housing insecurity has deep effects of young students as well. Alexandrea Coe has this Perspective. The saying, “home is where the heart is,” resonates in my mind everyday I come home. Home is where you’re supposed to be the most comfortable, the most whole, the most yourself. But for me and the rest of the 15 million kids who have struggled with affordable housing and poverty in their lives, we think otherwise. Affordable housing is a big issue here in Marin County, and an even greater issue around the Bay Area, that is more difficult and complicated to understand. It wasn't until my parents got divorced, and my mom as a struggling single mother was not able to pay the rent, that I started to realize the struggle that people face with housing. I never really thought that this would be something I would have to deal with. Where I was born and raised in Berkeley, my family and I used to live in a condo. Even though it was small, it was ours, just ours. I used to have my own room, my own bed, my own stuffed animals and pillows. I would never have thought that one change like moving to Marin could make such a difference. Four years later, our living conditions haven't really improved or worsened. We now have a bed, a bathroom and a small closet, encased in the darkness of a friend’s basement. Here, I wish for better, but I also feel fortunate enough to have a roof over my head, even if it's covered in asbestos. It angers me to know how much money Marin has, and to see it not implementing much change. How come here, a place known for its wealth, we have a rapidly growing population of the homeless who are dumped out on the streets? How come here, the waiting lists for Section 8 housing take years to reach the top? How come here, compassion and love for those not as fortunate as others, is almost impossible to find or see at all? I never truly thought about not having a home, or a ‘good’ one at that. I never realized how privileged I was, how needy, and wanting. I never re-thought the cost of a lollipop or a piece of candy. Up until now, it has made me realize how ignorant I was. I would've never thought that one of those kids without a ‘good’ home, would be me. With a Perspective, I’m Alexandrea Coe. 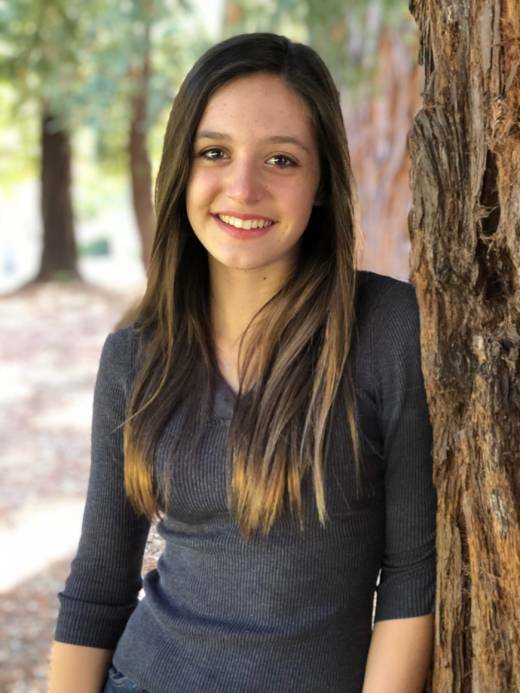 Alexandrea Coe attends Kent Middle School in Kentfield.